How Are Title Loan Interest Rates Calculated? There was a time when a bank was the only place where a person could borrow money. Thanks to alternate financial institutions, that has changed. One type of financial institution that has grown popular over the last decade is the title loan company. Quick access to cash makes it appealing, especially for a person with a less than perfect credit score and little monetary assets. Borrowing a title loan allows a person to take care of his or her financial obligations. It does, however, come with risks. Before we talk about these risks, let’s talk about what a title loan is. A title loan is a secured loan that allows a borrower to borrow money against the value of his or her vehicle, which a title loan company uses as collateral. The value of a vehicle depends on its manufacturer, the year it was manufactured, and its condition. 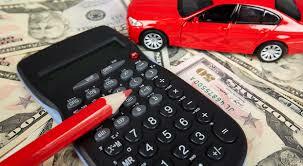 A lender does not issue a loan for the full value of the vehicle. The amount of a loan is no more than 50% of a vehicle’s value. The longest grace period a borrower has to repay a title loan is 30 days. This has a significant influence on the interest rate. A borrower of a title loan like not having to go through a credit check to receive the money he or she needs to pay bills. A lender can charge as much as 25% a month; even through the amount of interest a title loan company can charge depends on the state they conduct business. This adds up to a 300% Annual Percentage Rate. The average loan amount is between $100 and $5,500. The short amount of time a borrower has to repay a loan is the reason a lender claims to charge so much interest. Borrowing a title loan should be given deep consideration. The first thing a person should consider is how much money he or she can afford to borrow. The second thing is how much money to put aside to pay off the loan in a month. The third thing a person should consider is how important is his or her vehicle. If a borrower cannot repay a loan, a title loan lender can repossess his or her vehicle. Borrowing money from family, friends, or a credit union can help a person save money and/or allow him or her to keep his or her vehicle.